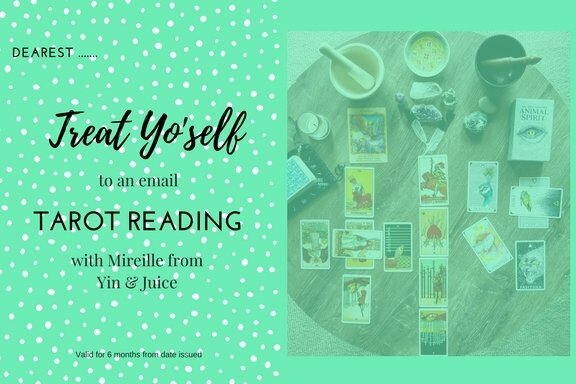 Gift voucher for an email Tarot reading for someone special. Please select which reading type you want. Please visit my Tarot page for details on my style of reading and my Policies & Ethics prior to purchasing. Text 0434 392 776 or email info@yinandjuice.com.au with any queries.